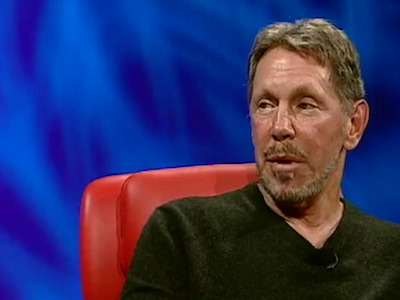 Larry Ellison just added another prize possession to his personal portfolio: his own Hawaiian airline.As we previously reported, Ellison was considering buying Island Air to help people get to Lanai, the Hawaiian Island he owns. Today, the sale became official; terms of the deal were not disclosed. Buying an airline is a very Ellison-like thing to do. 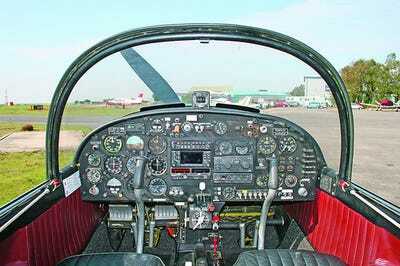 Ellison is a pilot who collects planes. His son is a stunt pilot, too. And when the fabulously wealthy CEO of Oracle isn’t running his company, he spends a lot of his time collecting extravagent things, like mansions, yachts and golf courses. 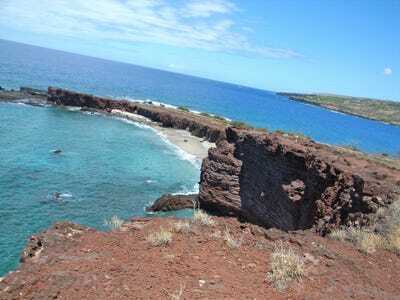 Ellison bought 98 per cent of the Hawaiian island, Lanai, a part of the state of Hawaii that was sale for between $500 and $600 million. He's turning it into an eco-friendly experiment, building out its resorts and sustainable farms. 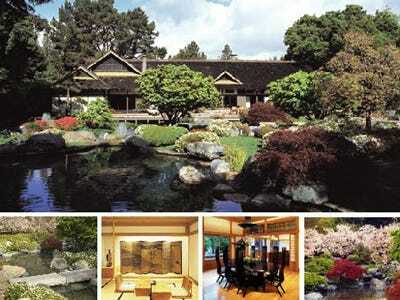 A gigantic mansion in Woodside, Calif.
His flagship mansion was styled to look like a feudal Japanese village. It has a two-acre man made lake. The house is worth about $110 million. Ellison owns a 249 acre estate in Rancho Mirage, California known as Porcupine Creek. It includes a private golf course. It cost him $42.9 million. Ellison likes to buy big batches of properties in areas he likes, and then build what he wants on those big land patches. 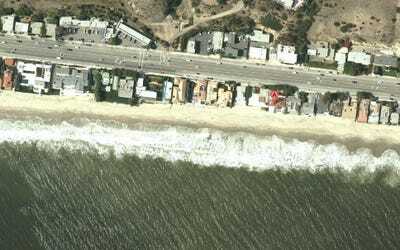 He reportedly spent $65 million on five beachfront properties in Carbon Beach, Malibu, for one compound in 2003. He bought one house just for the pool. Ellison didn't stop with five houses on Carbon Beach, either. As of November, when he bought a house from TV producer Jerry Bruckheimer, he owned an astounding 10 houses there. The price he paid for this one wasn't revealed but we know it has 70 feet of ocean frontage, three bedrooms, three bathrooms, and it's 2,239 square feet. Ellison is a known property junkie. 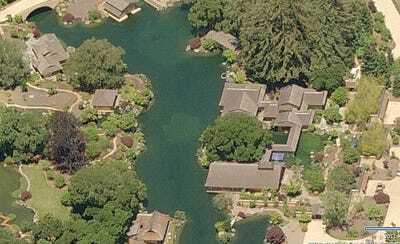 One of his houses was next door to Steve Jobs. They met when Steve Job's peacock wandered onto Ellison's property and woke Ellison up. The two became best friends after that. As a pilot, Ellison collects planes, too. He has an Italian Marchetti jet, which is said to be his favourite. He once sued the City of San Jose after it cited him for too many late-night landings in violation of a noise-control ordinance. Ellison has always been an avid sailor. He's helped bring the next America's Cup race to San Francisco and his team will sail a 72-foot-long, carbon-fibre catamaran that cost $8 million. He's won the cup before. 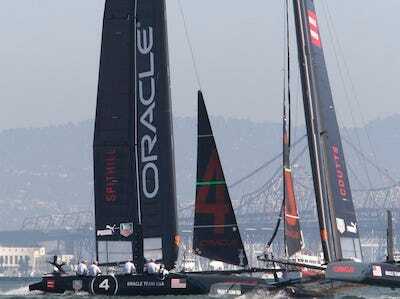 His previous 90-foot sailboat was the first American syndicate to win the Americas cup since 1992. 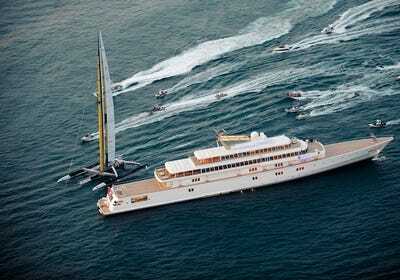 Besides a race team, Ellison used to own the Rising Sun, currently the eighth largest yacht in the world. It was the fourth largest yacht when it was built. Ellison reportedly spent more than $200 million to build Rising Sun, a 452-foot-long, five story tall yacht. It has jacuzzi bathrooms, a gym, a spa and salon, a wine cellar, a private cinema and a basketball court on the main deck that doubles as a helicopter pad. 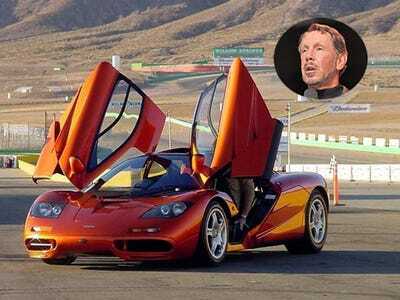 Ellison is famous for owning a lot of rare, expensive cars, like the Acura NSX. Among them is the McLaren F1. The F1 was declared the fastest ever to hit the road in 1998. 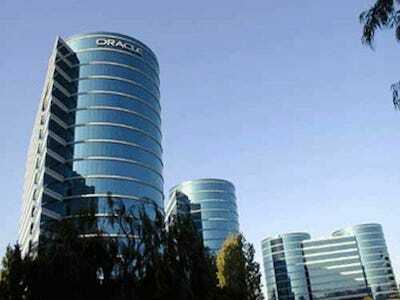 You might have heard of a company called Oracle. 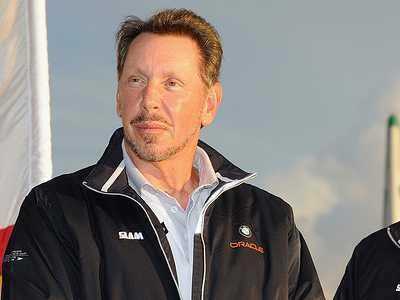 It's one of the largest providers of enterprise software and hardware in the world, and it's worth about $160 billion. Ellison was one of the cofounders and he's still its largest stakeholder. That's where his money came; Ellison is a self-made billionaire. Ellison is an avid basketball fan and for years he's been trying to buy a team. But deal after deal has fallen through. 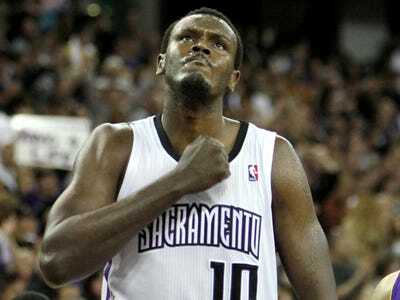 The Sacramento Kings just asked him to buy them and save them from having to move. This could be his chance.